The Non-Pro Player Committee represents the interests of trumpet players who do not derive the major portion of their income from performing or teaching trumpet. The Non-Pro Player contingent begins with players who are starting over again (the Comeback Player) and runs the gamut from there through the highly competent professional player. The goal of the Committee is to develop specific activities, events, and publications that address the specific interests and needs of the Non-Pro Player. 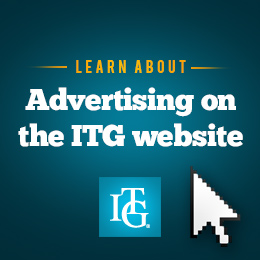 The efforts of the committee have extended to the ITG Web Site where there is now a section dedicated specifically to the Non-Pro Player. This section will continue to grow as the committee adds Non-Pro Player Clinic presentations along with original articles written specifically for the Non-Pro Player. The committee is also active in developing Non-Pro Player articles for publication in the ITG Journal. The Non-Pro Player Committee is here to serve you. We would first like to thank those who have previously served on the committee and have made much of this possible. Secondly, we hope that you will let us know what we can do to better serve you. Because ITG conferences are inspirational no matter one's age, this new financial need-based grant will provide assistance to adults over 25 whose financial situation does not allow them to attend the annual ITG Conference. Cash awards from US$150 to US$250 and free conference registration will be awarded based on letters of recommendation from ITG members. The actual amount and number of grants will depend on dollars received. All dollars received by January 31 will be awarded for the next conference. There is no audition component or fee required for this grant. Letters of recommendation will be reviewed by a committee of ITG members, and recipients will be notified in March. Donors of Adult ITG Conference Grants at the US$100 level and above will be named in the conference program. Out of respect for privacy, recipients will NOT be named or acknowledged in the program or during the event. ITG members are encouranged to support this program by donating and/or nominating someone. Nomination Procedure: ITG members may nominate adults over 25 by sending a letter to: Treasurer, International Trumpet Guild, PO Box 2688, Davenport, IA 52809, or email to [email protected], stating how the nominee would benefit from attending the conference as well as the nominator's general understanding of the nominee's financial need. The letter should include the name, address, email and/or phone, and age of the nominee. Nomination letters must be received by the Treasurer by January 31 to be considered for the current year's conference. The Non-Pro Players Committee is responsible for selection and recommendation of the Non-Pro Players Master Class pedagogue. The Non-Pro Player Master Class concept is to give a class where instead of lecturing on a topic, the pedagogue asks selected players to play in front of the attendees while the pedagogue notes the good and bad aspects, makes suggestions, etc. In other words, presents a master class where the performers are not students, but “Comeback Players” or “Non-Pro Players”. The Non-Pro Player Committee initiated the first ever Non-Pro Players Meet and Greet Reception at the 2013 ITG Conference, with Board and Non-Pro Players Committee members providing insights regarding ITG support for the Non-Pro Player activities. Small groups of conference attendees meet, chat and exchange ideas and stories as they make new friends and renew old acquaintances. The Non-Pro Player Committee would like to provide Non-Pro/Comeback players with the opportunity to have visible support in the organization. A portion of that is afforded by providing Non-Pro/Comeback players with the opportunity to perform in an ensemble at each ITG conference during the Festival of Trumpets. There is significant interaction and healthy communication when players work together toward a common performance goal. The Non-Pro Player Committee initiated a new activity at the 2015 ITG Conference specifically for Non-Pro/Comeback Player to assist in the art of warming up.